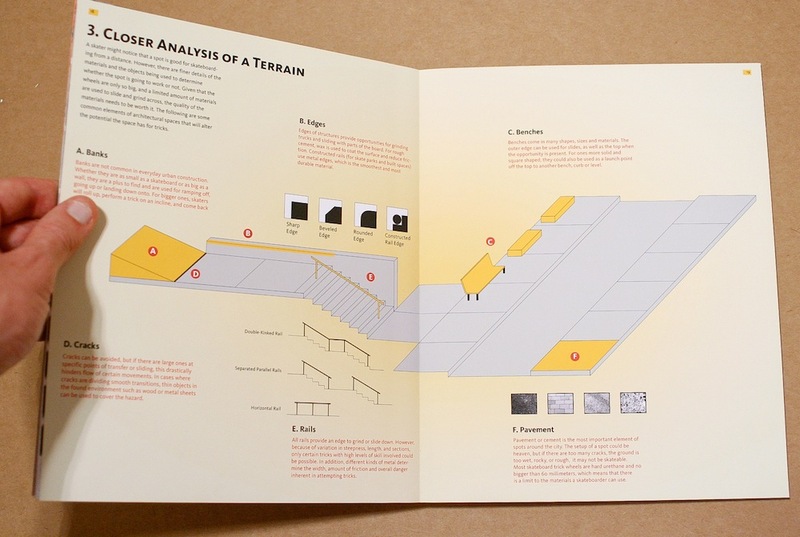 A book on skateboarding within urban context and public space. 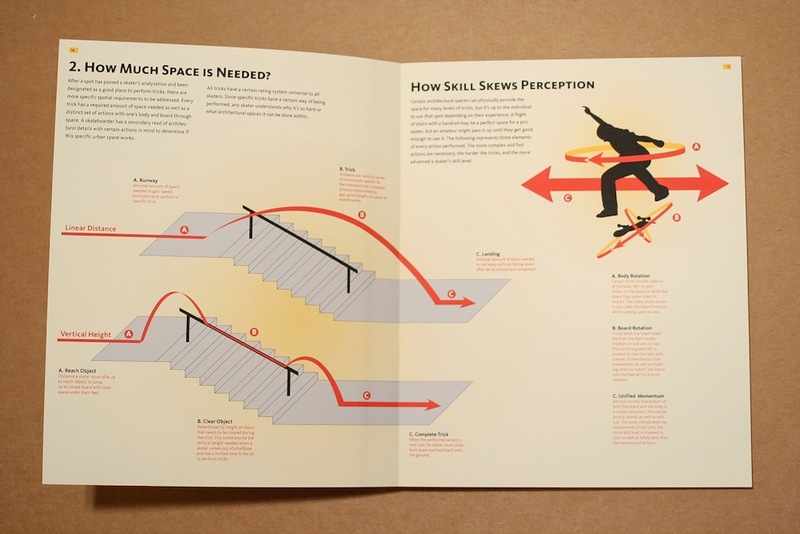 Using infographics, quotes and narrative, I explored how the evolution of the sport has influenced architecture, and how in turn architecture has evolved in rejection of the current state of the sport. 8" x 10"
Art direction, layout, final print + production.